Do you want a cost-effective solution to your branding needs? Branding has become immensely important nowadays regardless of the industry you are catering to. Therefore, you should make sure that you choose the right company which can enable you to carry out your brand awareness in a budget-friendly manner and yet helps you leave a great impact on the minds of your target audience. We, at Perfect Impressions, are the right choice for you. We bring you several signs and banner options that can enhance your brand better and make it visible to more and more people. However, an amazing and all-time favorite choice for brand awareness is the banners. It is the oldest and most effective way to grab attention from your potential buyers. Moreover, it is a durable and affordable option. So, if you want to use high-quality banners for your business promotion in areas like Ann Arbor, Birmingham MI, Canton MI, Northville, Novi, or Troy MI, you should rely on us. 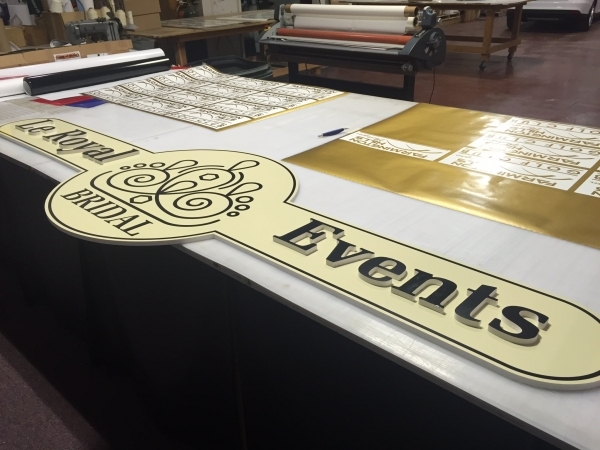 Here, we have put together a few things to remember while designing your custom banner. Take a look. First of all, you should pick your colors wisely. Make sure the colors represent your brand. You can pick a color scheme similar to your logo. Or if you don’t want to do that, make sure you choose subtle color scheme according to the business you have and the font you have chosen to write the advert. Make sure that the advert is never overshadowed with the color scheme. The font also plays a big role in your design. You should make sure that the font you have selected is legible to the people walking down the street, in the car stuck at the traffic, as well as people viewing it from a distance. So, choose the style and size of the font wisely. So, keep these in mind and quickly order your banner from us if you want your business to climb the ladder of success at the earliest.